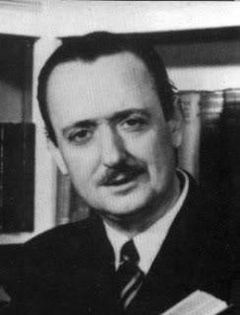 In a recent blog post, I discussed the strange career of John Dickson Carr – namely that almost all of the novels that he is famed for, all of his greatest works, appeared in a fifteen year period in the middle of a forty two year period. It was inspired by a comment stating that during this time, there was nobody to compete with Carr. Well, no one seems to be arguing with the statement that Carr’s greatest work was in this period – time to look at the other side of the coin, namely was there anyone else competing with him during this period? So let’s have a look at the main contender – Dame Agatha herself. 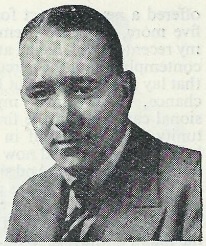 The period in question was, roughly, 1934 to 1946, when Carr was at his peak. So what was Christie writing during this time? Christie’s career follows a different track to Carr’s. She starts with an absolute cracker in The Mysterious Affair At Styles and there are only a couple of significant dips in quality – at the time of her divorce in 1927 (and it only lasts a couple of books) and right at the end (and again, at worst, three or four books). True, her final books are less inventive, but compare, say, Third Girl with The House At Satan’s Elbow or By The Pricking Of My Thumbs with Papa La-Bas. While the Christie books may be flawed in places, they’re still good reads. But what about the period in question? Christie wrote twenty four books in the time that Carr wrote about thirty five. Of those, fifteen of those featured Poirot (including ten in a row – no wonder she got a bit tired of him) and all of the classics are in there – Murder On The Orient Express (not my favourite though), The ABC Murders, Cards On The Table, Death On The Nile, Appointment With Death, Five Little Pigs… In fact, looking at the list, there aren’t many books that you’d think were classics that weren’t written in this period. The obvious exceptions are The Murder Of Roger Ackroyd, Crooked House and A Murder Is Announced – and, if you’re of a certain disposition, then Endless Night as well. But can you compare one with the other? Well, not really, as it all comes down to personal taste. But if Carr’s books were better, why has Christie never been out of print, while Carr has mostly disappeared. It’s probably her lead characters – Poirot and Miss Marple have a certain element of humour about them, whereas Fell is, in my opinion, an unsympathetic individual unlikely to appeal to the casual reader. Merrivale is a lot more fun, but is hardly a subtle character – you’d never see Poirot posing for a statue wearing only a sheet. Carr’s characters tend to be less nuanced – not always the case, but their behaviour can be extremely odd at times – whereas while this criticism is often thrown at Christie too, I think in that case, it’s not usually warranted. That’s not to say Carr’s books aren’t fun – one of the most enjoyable of his books, The Case Of The Constant Suicides has a most unlikely and yet predictable romance in it, but it’s great fun, despite the characters not behaving like human beings. But Carr was, in my opinion, the better mystery writer, and not just because of the locked room stuff. In a large number of Christie’s works, the killer stands out a mile, once you know what you’re looking for. The gambit that she employs is predictable and while there’s a lot of fun trying to spot the clues, you know that if it’s going to be the SPOILER SPOILERY suspect, then it makes the job a lot easier. Put it this way – if someone in a Christie novel is choked to death with a banana, and someone is allergic to that fruit, then they might have well have MURDERER tattooed on their forehead. Whereas Carr would make everyone allergic to bananas and would have locked them all in a safe beforehand. I mentioned last time that Carr’s ability to hide a murder has often been overlooked and I’ll repeat it here. By having an impossible crime, it means that everyone is the least likely suspect and the reader is so busy puzzling over the how, you can overlook the who. I think this is why Carr is (generally) the favourite of the fans of the mystery but Christie is the more popular author – her books are probably more re-readable as well. Most people aren’t looking for a complex plot and a murder method that might need a diagram or a sequence of events that ranges from unlikely to ridiculous (yes, The Problem Of The Wire Cage, I’m looking at you). Christie’s plots can be summarised in a few words – even the cleverest ideas such as Death On The Nile or And Then There Were None. I don’t know about you but I can’t compare them. It’s like comparing apples with oranges. Hand on heart, if I was to pick one up to re-read, it’d be the Christie books. But as puzzles, especially for the experienced reader, Carr wins every time. So was Carr the strongest writer in the given period? Impossible to say – I think we need someone who discovered the two authors at the same time to make the judgment call, rather than what most of us did, namely read all of the Christies, hunt around for an age for a replacement and then finally find Carr as such a breath of fresh air. But dear reader, I’m sure you have an opinion. If you were sent to a desert island with ten of the best from Christie or Carr (assuming you’ve already read them). Which one would you pick? Or is there a third author that I’m overlooking? Ellery Queen? Margery Allingham? Ngaio Marsh? Dorothy L Sayers? Hmm that’s not such a tricky one for me as I have read all the Christie’s, but only a very small handful of Carr novels, so for me on the desert island I would want Christie novels. 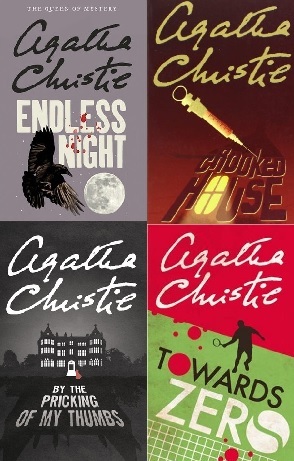 I think you are right in saying that Christie’s prose is much more readable than Carr’s and that Poirot and Miss Marple are much more likeable series sleuths. No one wants to get stuck on an island with Dr. Fell! Though I am tempted to say I wouldn’t mind the odd Sayers novels as well on this desert island and maybe a Melville or two. (I’m hopeless at these questions where you have to pick only one author, I always want to take the whole library). I don’t think the answer to this question has anything to do with mysteries, but accessibility. Christie has never been out of print because she’s a huge seller WORLDWIDE. And there’s a lot to the argument (Robert Barnard’s, I think) that Christie’s reliance on archetypes transcends a lot of cultural boundaries. A lot of Christie’s classic books and setups are very “tourist-friendly”. Villages, seaside resorts, glamorous travel and locations. In (rightly) dismissing the view that her books are “cosy”, I think it’s easy to forget this. Whereas Carr rarely uses any of these setups, at least not in a straightforward way. And that’s just the start. Christie’s prose, as well as being more polished, uses a far narrower range of vocabulary than Carr’s. So it’s both easier to read if English isn’t your first language, and translates into other languages much better. And Carr’s humour, while certainly not subtle, is incredibly specific and VERY English. Not to mention his weird attitude towards women and relationships… etc., etc. Yes, I agree regarding the vocabulary. 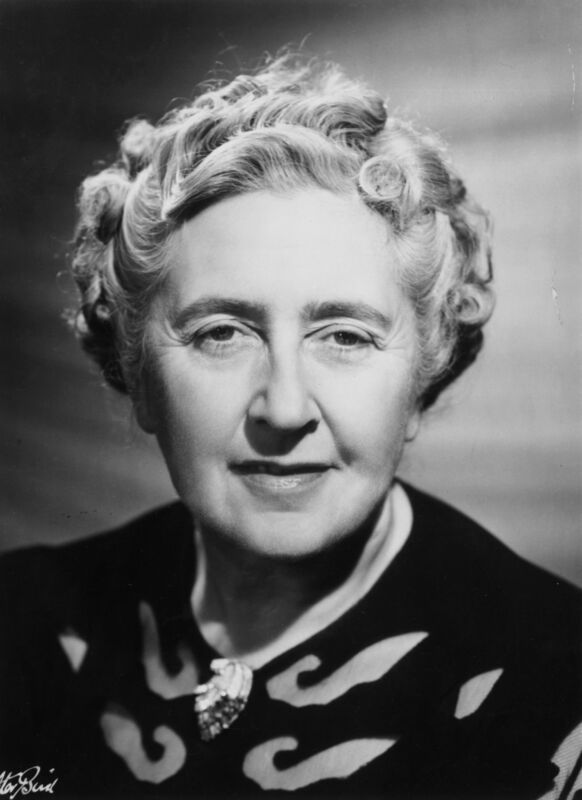 I have read all books by Agatha Christie and John Dickson Carr. However I started reading Agatha Christie earlier. At a young age when my English vocabulary was limited, I could follow Agatha Christie but not Carr. It was only much later when my English vocabulary extended considerably that I was able to understand Carr and other mystery writers. A major reason for Christie’s popularity worldwide is the utter simplicity of her language. I certainly don’t think Christie ever had an idea for a mystery solution as good as Carr’s in, say, The Three Coffins. And I don’t want to undervalue that – it counts for a lot. But Christie also had a far surer hand with structuring and pacing, and that shouldn’t be dismissed, even though it’s less flashy. Although I’ve had a lot to say about certain Christie mysteries being broken, there are far more Carr novels that don’t make sense once everyone’s motivations have been untangled, or require an object to be a completely bizarre size and shape. Which, yes, he’ll often mention, but only a few times, and he’s got such a poor grasp of dimensions generally that there’s no way to tell whether it’s a clue or another case of Castle Skull’s “thirty-foot-thick walls” or the impossibly high statue in Night at the Mocking Widow! There aren’t any Christie novels which I look back on as being astonishingly clever, whereas there are at least three or four Carrs that fit the bill. But there are plenty of Christie novels which are astonishingly competent, and I think I value that more. Or, to put it another way, there aren’t many (Classic era) Christie novels which I think would be improved if they were sent to me for developmental editing, whereas I’m confident EVERY Carr I’ve read could easily be improved if he’d had someone to bounce ideas off, even his best ones. Hmm. Three Coffins and Plague Court, I agree with. Sleeping Sphinx… I’ve forgotten everything about that apart from how the impossibility is worked (which I spotted almost immediately but I did read it rather soon after watching a certain episode of Jonathan Creek) but The Ten Teacups is I think cripplingly flawed. The coincidences involved, along with an Olympic style feat… it’s like Carr had an idea and then bent the events out of shape to fit the idea rather than throwing it in the bin like he should have done. Well, like I said, I don’t think they’re necessarily good books, or that the mysteries aren’t irrevocably broken, just that they at least contain the germs of a genius idea. The Sleeping Sphinx has an incredibly clever idea for a murder method, one that I’m surprised I haven’t seen copied elsewhere, especially give how much darker modern crime novels are. But the impossible crime is pointless and irrelevant, and not much else works. Although even here, there’s strong commitment to clueing the murderer, both in terms of characteristics and physical evidence. The Ten Teacups is ludicrous, I agree, but I think the idea at the heart of it (that something which is so immediate it seems like it HAS to be a single event could actually be two) is Carr’s finest, not least because I can state it as baldly as that and I think people still won’t get it. I disagree it should have gone in the bin. But it’s a shame he couldn’t think of a way to make it work. There’s a related trick, albeit with entirely different execution, at the heart of The Unicorn Murders, but sadly that doesn’t really work either. I do love The Ten Teacups…I know it’s unlikley and a bit silly, but there’s something about the construction of that plot which rings more true for me than, say, The Hollow Man. I’m increasingly coming to the opinion that I’m more willing to suspend critical faculties with Carr on account of the efforts he’s gone to in coming up with something genuinely new and interesting, whereas I’m less tolerant of Christie’s shortfalls (Towards Zero, for instance, frustrated the hell out of me, as did Five Little Pigs); whether this is because I hold Christie to a higher standard, or which one this means I think is better, I’m still no closer to working out, though! If I had to pick the cleverest mystery ever written, it would be “And Then There Were None”, rather than Carr. Most of Carr’s are based on one gimmick, but “Ten Little Etc.” is like juggling ten balls at once. For sheer cleverness, Carr’s best would have to be “The Three Coffins (Hollow Man)”, because he’s juggling three balls, and “The Locked Room Lecture” is wonderful. Also, I’m not so bothered by the implausibility of Carr, or even Christie, since that’s a given for the genre. Little old ladies from small villages who solve murder mysteries is inherently implausible, so I know that when I start reading, though Carr does stretch my capacity to suspend disbelief to the breaking point on occasion. Apparently, Carr was criticized for implausibility during his lifetime, replying that it doesn’t matter whether the story is improbable as long as it’s not impossible. For the most part, I agree. However, I would rank the best of Ellery Queen and Edmund Crispin with Christie and Carr. Also, from the same time period, I would include Clayton Rawson, a much less prolific and, as a consequence, less well-known mystery writer. For cleverness, it’s hard to beat “Death from a Top Hat”, but he’s also a very entertaining writer. To answer your desert island question, I would take the early Carrs with me, but only because it’s been so long since I read them. That seems like an unfair reading of Carr. And Then There Were None is certainly a much better novel than The Three Coffins, but in terms of your juggling act metaphor there’s FAR more balls in the air in Carr’s book. Although perhaps a tightrope is a better circus metaphor – the entire crux of why The Three Coffins works is nothing to do with the impossibility, it’s how well Carr manages the possibility of the third brother and the timing of the various reveals. If the reader isn’t distracted by that for long enough, they’ll have enough time to at least unpick whodunnit. Whereas I can’t imagine anyone reading And Then There Were None would expect the various searches of the island to be anything other than fruitless, unless it was their first ever mystery. I think a lot of Carr’s skill is overlooked because people only remember the impossibilities. But there’s a lot of information and expectations management going on in almost every early to mid Carr book, and he was much better at that than Christie. I’d be interested to know an example of a classic period Carr you’d consider “only based on one gimmick”? I’ve not shy about my criticism of Carr, but I can’t think of any that fit that bill, let alone most. When it comes to clueing and mystery construction, I’d say there are far more one-note Christies. But perhaps I’ve misunderstood what you mean by “gimmick”. I’m with Rich on this one – Carr is rarely about the impossibility alone. In fact, I’d say that he usually structures things so that working out how the impossibility was done still doesn’t pinpoint the killer. People (myself included) go on about Edward D Hoch as the master of the locked room short story but most of his tales have the method and killer intrinsically linked. I think there’s more to Carr than this – even in the lesser efforts like The Dead Man’s Knock. Even though the impossibility points to one person, there’s much more to it than that. Well, I’m not exactly sure you can quantify the number of balls there are in the air in a book, so that metaphor shouldn’t be taken too seriously. Let’s just agree that they’re both very clever. As far as “classic period Carr”, I don’t know what that period is, though I think that most of his later novels are based on just one gimmick. How about “The Problem of the Wire Cage”? Is that from the classic period? I only remember one gimmick in it, but it’s been a long time since I read it. First off, see two posts ago for the classic Carr era discussion. 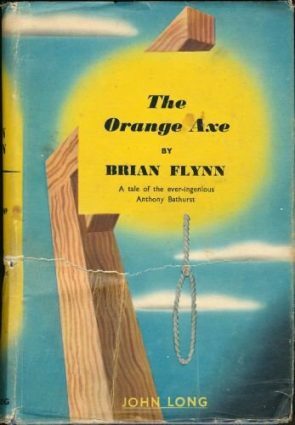 As for Wire Cage, yes, the crime is a sole gimmick but the novel revolves around the multiple attempts to ensure that the lead character isn’t accidentally implicated in the crime, lending the book at least one extra level – which it needs because the murder method is seriously flawed. If I understand the earlier post, you consider Carr’s golden age to be from about the mid-’30s to the mid-’40s. Wire Cage is from 1939, so smack in the middle of his classic period. However, I do think his later books are more often built on a single gimmick. Of course, if the issue is choosing between Christie and Carr, the solution is to just read more Christianna Brand, who to my mind successfully combines the best elements of both. I’ve only read “Green For Danger”, but that was excellent. What else did she write that’s worth reading? I’ve not read any that are a complete dud, although Heads You Lose is probably best classified as a failed experiment, and Death in High Heels (her first) is fairly ordinary. Death of Jezebel is probably her best, but it’s hard to find. I had to listen to it on audiobook! Tour de Force is her most interesting I think. The solution doesn’t really work, almost in a Crooked Hinge kind of way, but what a run of completely different solutions at the end! That’s really Brand’s specialty, the final section kaleidoscope of different solutions, shifting the entire outlook on everything multiple times. I would also include HALLOWEEN PARTY and NEMESIS. I have commented in details on Nemesis in your post on the book. I have reviewed Hallowe’en Party at Goodreads for Past Offences 1969 sign-up. Carr absolutely writes better hooks (yes, that’s hooks with an “aich”) than Christie – usually on account of his impossible situations, but also in many of his non-locked rooms like The Four False Weapons and To Wake the Dead. I’m not saying they always turn out to be better novels, but the idea at the core is more compelling. Christie’s best work still sounds rather tame when summarised – The Moving Finger is about poison pen letters, which sounds delightfully twee, but it’s one of her strongest performances IMHO. Her most Carrian hook was something like Hickory Dickory Dock (but the main thrust of that plot would have been the third-tier storyline in one of Carr’s books) or possibly Peril at End House, where the central idea can be put across in a few words. Who’s best? My head says Carr for the sheer diversity of his plotting, written expression, situations, solutions, misdirection and logic, but my heart will always belong to Agatha. Which is no answer at all, I know. I’m enjoying this thread a lot and hesitate to put in my two cents here because, despite having read a lot of Carrs many years ago, my memories of his work are vague, whereas my love of Christie has made me return to every book again and again (accompanied by film, TV and radio adaptations), so her work will always be more vivid to me. I do think that Carr was a more atmospheric writer and definitely wrote in a richer, more complex prose. But the two authors wrote such different mysteries that it’s hard to really compare them except as far as taste is concerned. I recently read The Judas Window and found the prose very amusing. The mystery was good, but it seemed to hinge on a trick, and while the ending was a surprise, I never felt that I got to know any of the characters enough to really care. And that is my biggest problem with Carr. With Christie, it may be because she worked so much with archetypes, but I remember her casts of characters vividly. The one Carr that really stands out to me as doing the same thing is The Crooked Hinge, which might be my favorite, as well as The Burning Court. Otherwise, I can’t remember much about any of the Carrs I read, except that I enjoyed them. For me, Christie is like an old friend, and I return to each title again and again and get something new every time. This, however, is a personal preference and doesn’t mean to stand for an argument that one author is better than the other. Kudos to Puzzle Doctor for such an interesting and stimulating post. 🙂 I do think it’s possible to compare Carr and Christie – but the conclusion of preference that flows from the comparison is likely to be a matter of taste. There seems to me to be multiple faces to the issue of who’s a better writer: language, atmosphere, narrative, plot, etc. In terms of plot, Carr strikes me to be inclined towards fiercely mind-boggling set-ups and peculiar premises. ‘Black Spectacles’, for instance, had a fascinating starting point, which rightly demanded that the culprit(s) – not a spoiler, just trying to keep things vague! – come up with a layered and intricate master-plan. Christie, in contrast, is not necessarily less complex, but I think tends towards less convolution, insofar as her plots hinge on a handful of ingenious twists and misdirections. Having said that, the distinction can be permeable: by the above definition, it strikes me that Christie’s ‘Murder on the Links’ is somewhat Carrian, while Carr’s ‘Emperor’s Snuff Box’ is somewhat Christie-sque. In terms of language, I fear I am inclined to prioritise Christie above Carr. Grammatically and syntactically, her prose is leaner, and she doesn’t run into some of the phraseological kinks that I stumble over more than once in Carr’s books. I was trying to locate a particularly awkward phrase in ‘Judas Window’ about grass/ school-yards/ the colour green, to no avail; but I found another, albeit less clumsy than the one I had in mind: ‘his elbows outthrust on the desk’. Carr would take the vote for atmosphere, inasmuch as his bizarre premises lend themselves very naturally to be developed into vividly-realised, tense and dramatic scenarios. My only caveat would be that I found some scenes in ‘Black Spectacles’ overly-garish – though I am still very much admire its premise and puzzle. I think the Christie novel that became fairly claustrophobic was ’10 Little Indians’ – though if my memory is correct, I recall that the tension could have been wrenched up a notch or two. With regard to hiding the culprit(s), the last three novels by Carr that I picked up from my shelf did a very good job. But I also wonder if part of the success needs to be attributed to the fact that in some of these novels, the culprit(s) barely get much air-time anyway. By this I’m not trying to undermine Carr’s success, but rather, to give credit where it’s due to someone like Christianna Brand: who can brandish the culprit(s) right under the reader’s nose, over and over again, only to come up with a clever resolution proving his/ her guilt. Having read – and re-read – most of Christie’s novels, the closest substitute to me would be Brand’s works. It’s a genuine shame that Brand wrote so few, as I don’t think she had come close to hitting her peak by the end of her mystery-writing career. I find that the titles that move me most don’t always boast of the best puzzle (‘London Particular’), while those that contain the best twists/ set-ups could pack a stronger emotional punch (‘Death of Jezebel’). Having said that, ‘Green for Danger’ and ‘Death of Jezebel’ are among some of the strongest Golden Age mysteries I’ve read, and are worth collecting. I’m rereading The Sleeping Sphinx, and what strikes me is that Carr’s much the better stylist; his prose is more vivid, richer in sensory detail – the way light and shadows fall in a room, the smell and texture of objects, the colour of walls and furniture. And without sounding like an auctioneer’s catalogue, as P.D. James often does! In Christie, on the other hand, almost all the story is told through dialogue and conversation; descriptions of people and places are kept to a bare minimum. Her approach leaves more to the reader’s imagination, whereas Carr’s is more immediate. Interesting comparison. First, let me say I started reading Dickson Carr long before I had read more than a few Christie. I am a huge fan of Dickson Carr (although I recognize his flaws) but I very much like Christie. I don’t think any of the others (Sayers, Chesterton, Queen) come even close to these two. As for why Christie is more popular than Carr. I was surprised to see you dislike Fell so much. Personally I find Poirot extremely annoying, and Miss Marple is okay but a bit of a bore. I don’t like Carr’s Merrivale very much either, especially in the later books, as the “humour” as you rightly say is not at all subtle (quite the contrary), which is the main problem: Carr tries so hard to make Merrivale into slapstick and fails so miserably that it’s almost embarrassing. It’s quite often a pity, as for instance in the excellent “She Died A Lady” one of Carr’s best, which would be so much better without all the silliness in the wheelchair and the roman toga. On the other hand, I think Fell is very funny. In the mediocre “Dead Watch” (the plot of which is very close to cheating), one of the best parts is when Fell starts his speech with a reference to poultry farming. Also, in “He Who Whispers” (absolutely excellent novel), the way Fell keeps on trying to explain the whole “who shot whom or what in the bedroom” to the bewilderment of everyone I found hilarious. And I think the “Locked Room Lecture” is – deservedly – famous not only for the contents but also for the way Fell speaks. I think the reason why Carr is less popular than Christie is mainly because of complexity, and – related to that – language. A third reason is that – as you also say – Carr’s characters in general behave very strangely, actually quite often like absolute lunatics. It doesn’t matter for the plot (indeed, often it’s necessary for the plot), but for a reader who wants to feel some kind of empathy for the protagonist, Carr’s novels might be less appealing. But mainly, Carr’s plots are so complicated, so far-fetched, that it’s only for readers who really care just about the puzzle and little else. Carr’s language also is harder to read. In his best novels, this adds to the mystery, the gothic sense of threat. In his worst novels, it’s often annoying or at least rather silly (” Easy! easy! easy! – he thought”). Still, I like Carr better because in his best novels, his puzzles were mindboggling. Often he would even come up with more than one solution to the same seemingly impossible situation. What Carr and Christie had in common was their great talent in misleading the reader, in giving clues openly but later using them with a twist. No other mystery writer came as close. As a matter of fact, one could say Carr’s “She Died A Lady” and Christie’s “Death On The Nile” have something in common, but I am not sure how to say that without giving spoilers. There’s actually also something in common between “She Died A Lady” and another novel of Christie where she performs a certain trick, although I think Carr uses that trick with an extra twist. Carr is I think better in the pure mystery part, but Christie writes more recognizable characters and a prose that is more easily read. Given that fair-play mysteries are not that popular I hardly find it surprising that Christie’s advantages outweighs Carr’s in public’s mind. Of all the TV crime series that are produced, how many are fair-play mysteries? I can think of Murder in Paradise, and Jonathan Creek (which was cancelled.) Compared with them there are hundreds of non-fair play series. First of all , excuse my English . Very interesting blog. i enjoy detective stories especially with a puzzle plot. I started reading A.C. when i was 12 years old in French ( now i m 65 ) and i enjoyed an easy reading , not very complex situations , and H.P and Miss M , pleasant and perspicacious. Then , when i was 40 , i discovered Carr. I was fascinated by the density of the plot , the supernatural atmosphere. Besides some passages were funny . To day , when i travel , often i re -read A.C. , but i have to confess i m disappointed. Sorry Miss C!. i find the techniques are the same and the mystery lacks density . Besides the reasons mentioned , i consider if A. C. is always so popular it is because the to day reader doesn t like to cogitate about complicated novels . By the way i m surprised no one mentions S S VAN DINE . i invite you to discover this writer . A masterpiece . Great post. I agree with the main thrust: Carr is the more skillful mystery maker, but Christie writes better books. I think the difference, in her favour, is greater and starker than most here do. Of course I love them both. But I’d recommend And Then to anyone, but not Judas (my favourite Carr). The desert island question is easy. Hammett. Which is odd, as I think you would like the best ones. I have read Canary, Benson, Greene,Bishop, Kennel, Scarab, and enjoyed all but the last. I tried a couple later ones but gave up. Greene and Bishop are masterpieces. Vance is even more supercilious than the unendurable Wimsey, but more convincing too. These books were huge sellers btw. The Kennel movie is good. Have not seen any of the others. I mean that they are not easy to find in the UK. as a matter of fact I posses a book with 4 complete novels Avenel Books NYC . but I don t read it .too complicated in English .